FALL!! My favorite time of the year~ I can almost smell all of the new aromas that are sure to come from my kitchen during the next few months. I just love the tastes that go into my recipe creations during the festive season. And, of course, peanut butter and chocolate play a big part in everything, just because I love them both! 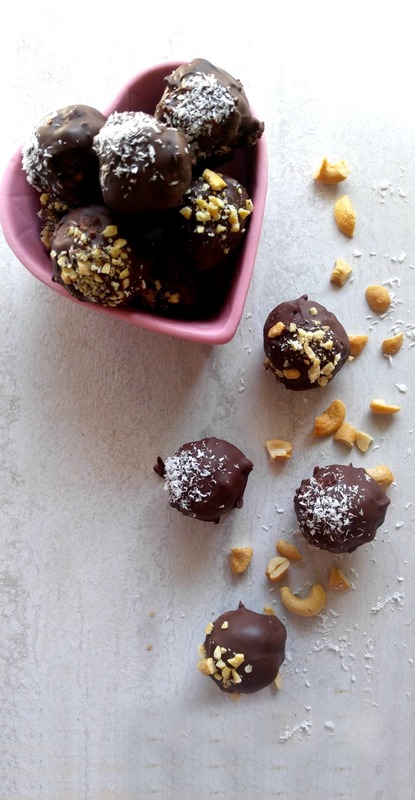 These chocolate peanut butter bites will satisfy your sweet tooth, but they also have some special ingredients to pack a nutritious punch as well. 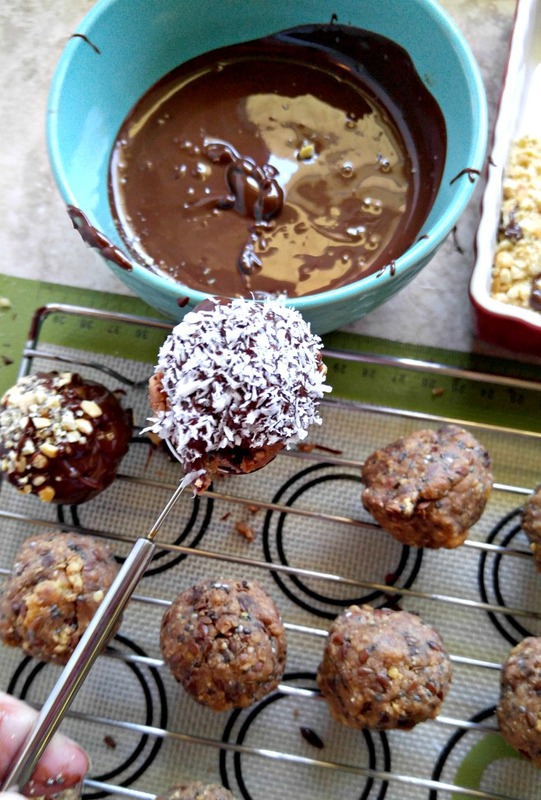 These buckeye balls also make great sweet easy appetizers. Serve them after hor d’oeuvres with port or sherry. Do you love peanut butter and chocolate like I do? Check out this recipe for buckeye fudge. Tempt your sweet tooth and grab some energy with these chocolate peanut butter bites. Energy bites are some of my favorite quick pick me up snacks. They are super easy to make. Just place your ingredients in a food processor, make some balls and add coatings and toppings if you wish. Look at what goes into these chocolate peanut butter bites. How can they not be good? Reduced fat peanut butter, confectioner’s sugar, miniature chocolate chips, and crushed graham crackers give me the sweet, creamy taste and flax seed and chia seeds add the nutritious punch. I started by combining the peanut butter and butter in the microwave. 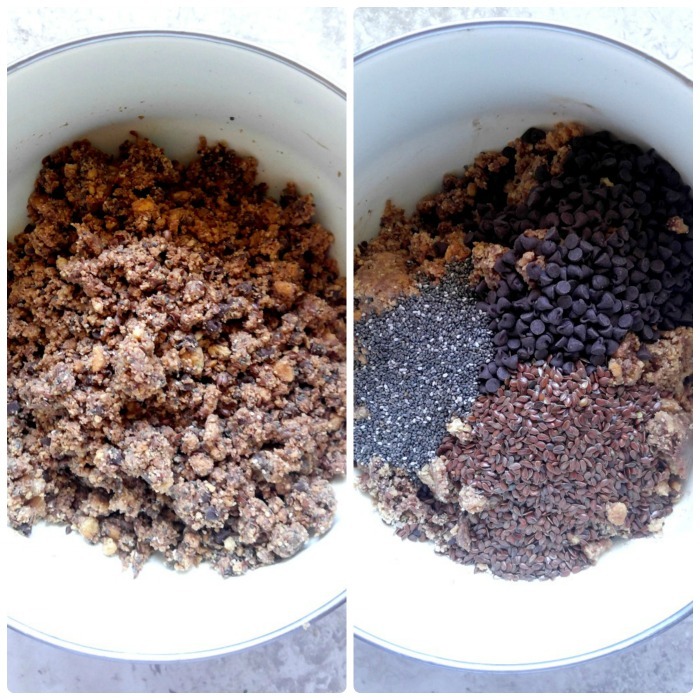 This mixture will form the binding part of the bites and will give them their creamy delicious taste. Next, crush your graham crackers (I just put them in a baggie and used a marble rolling pin, but whatever floats your boat is fine with me!) Add the crushed crackers and confectioner’s sugar in a large bowl and mix it all up well. Then in go the rest of your ingredients. Back to the microwave with more peanut butter and chocolate to make a silky smooth coating mixture. Mix everything together and get your hands going. I just dug in and made about 30 one inch balls. Set up a dipping station to make the coating process easier. For my station, I had the melted chocolate in one bowl, next to two more bowls of crushed cashew nuts and shredded coconut. You can use what you like for toppings. Sprinkles work well too. I made some of these on my Holiday site using colorful autumn leaf sprinkles for a cute fall look. Now comes the most important part, at least for me. I make a MESS (and I do mean mess) when I make anything coated in chocolate. After the last time, I thought there HAS to be an easier way, so I went hunting for dipping tools. And EUREKA, my life just got easier!! 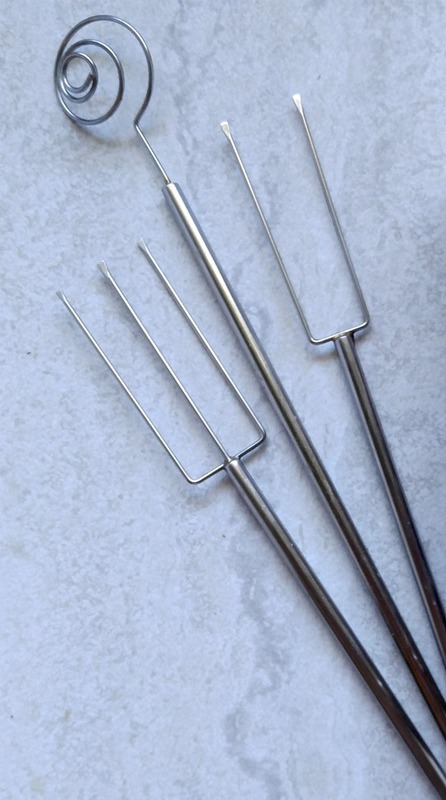 This dipping tool set makes both dipping and draining off the excess chocolate a cinch. That little wire basket is the one I used the most for these little bites but all of the tools help. Dip each peanut butter bite into the chocolate and remove to a wire rack. Allow the chocolate to drip back into the bowl first or you will have more chocolate under the rack than on the bites! I did about four bites at a time and then coated them with either the crushed nuts or the coconut. Allow the chocolate peanut butter bites to set for a while. Putting a silicone baking mat under your wire rack REALLY makes clean up easier. At this stage, if you can keep from testing these beauties, it is time to put them in the fridge for a while to set to make the chocolate a bit harder. Or you can be a rebel and just starting eating away. I’ll leave that decision up to you! These no bake chocolate peanut butter bites are the perfect blend of creamy, sweet and crunchy. I just love the texture of these, particularly if you store them in the fridge. (they also keep in an airtight container on the counter but will have a softer consistency.) The cold temperature of the fridge makes the flax seed and chia seeds really full of crunch! Now the choice becomes coconut or nuts? How about BOTH? Yup…that’s a great choice. I used lightly salted cashew nuts for my crushed nuts. I like the tiny bit of extra saltiness that they add to the taste of the peanut butter bite. 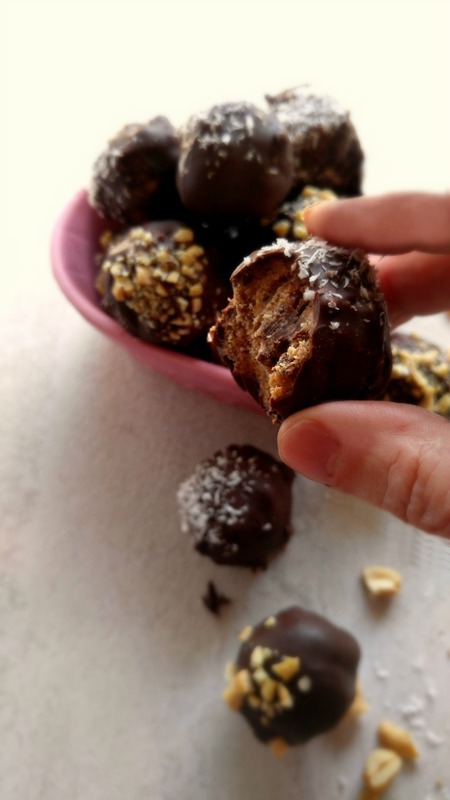 These delicious no bake chocolate peanut butter bites are the perfect ending to a lovely meal. Or, why not wrap some up in a pretty container for a Christmas gift? Whatever you decide to do with these sweet treats, they are sure to please! 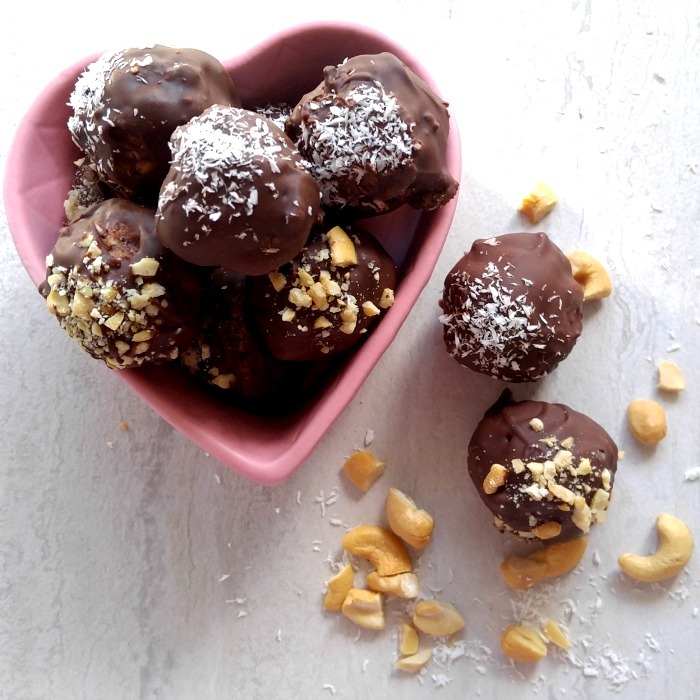 For a super healthy energy bite recipe, check out these lemon coconut energy bites. 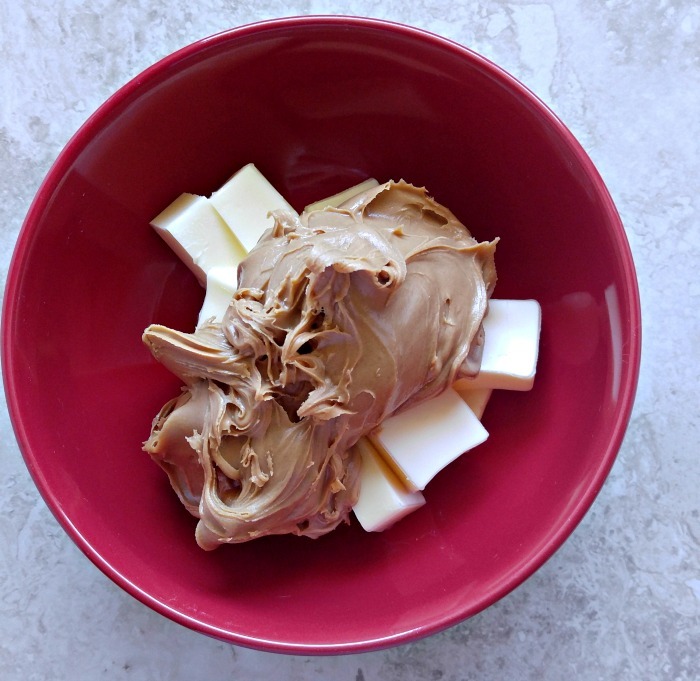 Place the butter and peanut butter in a microwave safe bowl and heat in 1 minute increments until it has melted and is silky smooth. 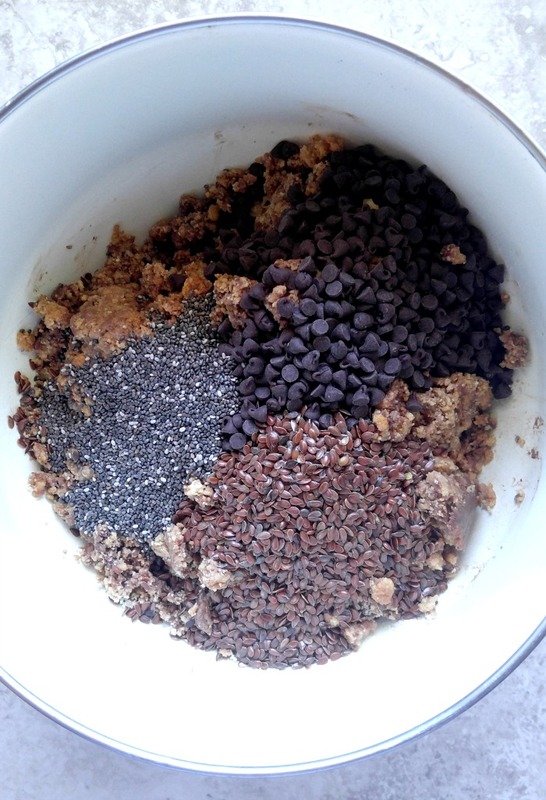 In a large bowl, combine the crushed graham crackers, confectioner's sugar, sea salt and miniature chocolate chips. Stir in the peanut butter chocolate mixture and combine everything well. Using your hands, form the dough into balls about 1 inch or so in size. 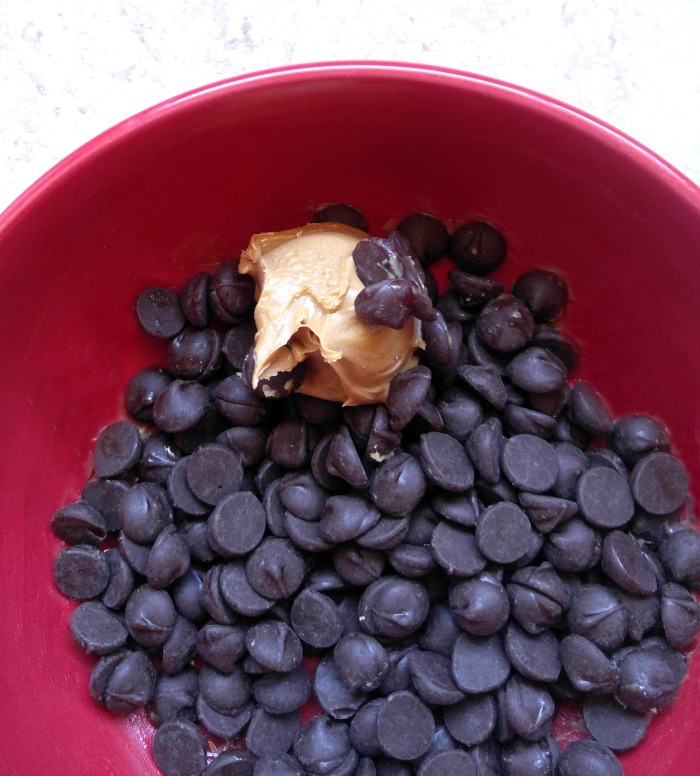 Heat the dark chocolate chips and peanut butter in a microwave safe bowl. 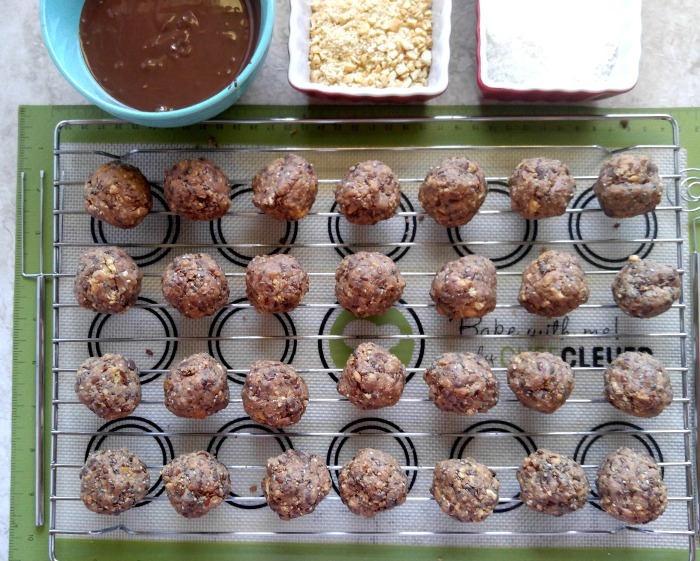 Set up a dipping station by placing a wire rack with your formed balls on it over a silicone baking mat. Have your shredded coconut, crushed nuts, and the melted chocolate nearby. 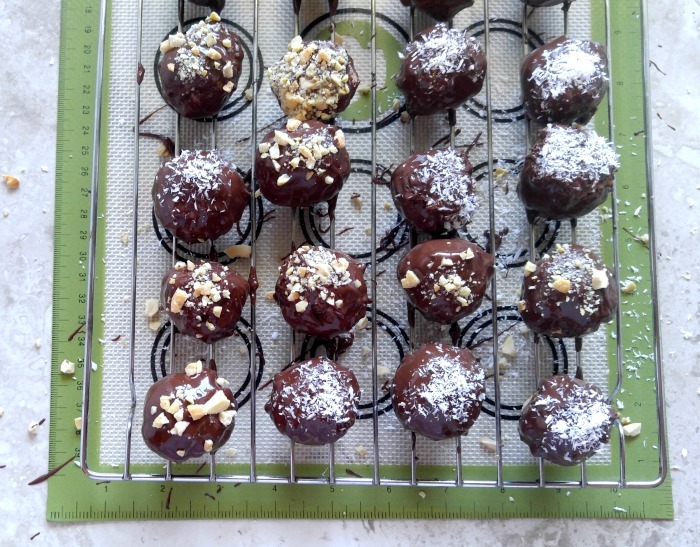 Dip the balls into the melted peanut butter chocolate mixture and move to the wire rack. Sprinkle with either the crushed nuts, or shredded coconut before the chocolate has set. I dipped about 4 at a time and then added the toppings. For best results, store in an air tight container in the fridge. 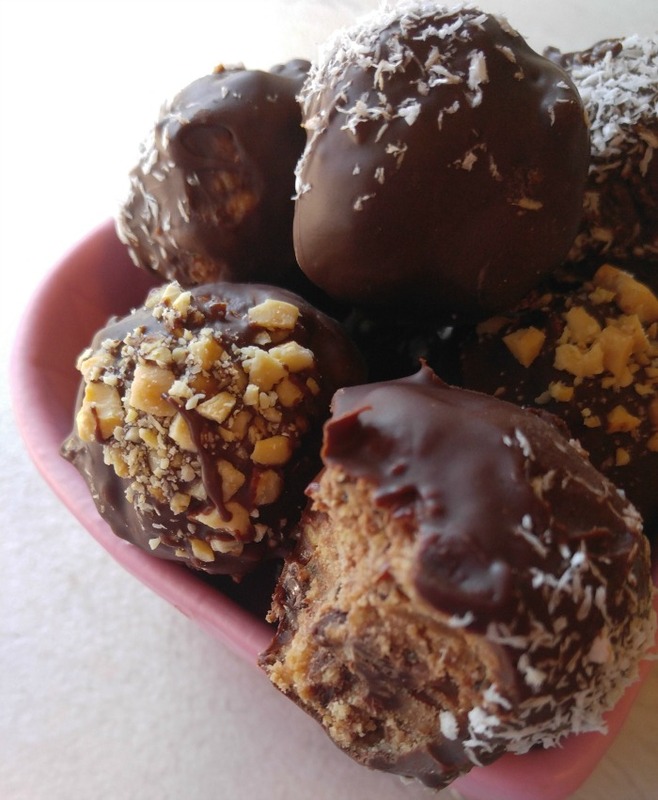 These chocolate peanut butter truffles also freeze well for up to two months. Disclosure of Material Connection: Some of the links in the post above are "affiliate links." This means if you click on the link and purchase the item, I will receive a small commission, but the price will be the same for you. Regardless, I only recommend products or services I use personally and believe will add value to my readers. I am disclosing this in accordance with the Federal Trade Commission's 16 CFR, Part 255: "Guides Concerning the Use of Endorsements and Testimonials in Advertising."